Be the first to hear about their new releases and deals. Download the Booksprout app and search for Kate Cambridge today! 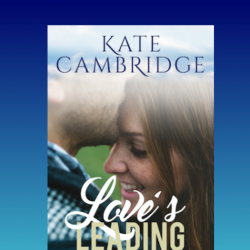 Kate Cambridge writes Historical Romance (The Suffragettes Mail-order Brides Series) and Contemporary Romance. She is a hopeless romantic, married to her favorite person on the planet, and loves to craft stories that leave readers... happy, intrigued, laughing, inspired, and sometimes breathless—all with stories and characters that last long after "The End". If you want something SAFE, and always with a happily ever after, then Kate Cambridge is for you!